Attendance at the 34th annual St. Petersburg Power & Sailboat Show increased by about 18 percent, the number of exhibitors rose by 7 percent and revenue jumped 8 percent. The show was held Dec. 1-4 at the Progress Energy Center for the Arts, Mahaffey Theater Yacht Basin and Albert Whitted Park in St. Petersburg, and it consisted of boats in the water and on the hard. 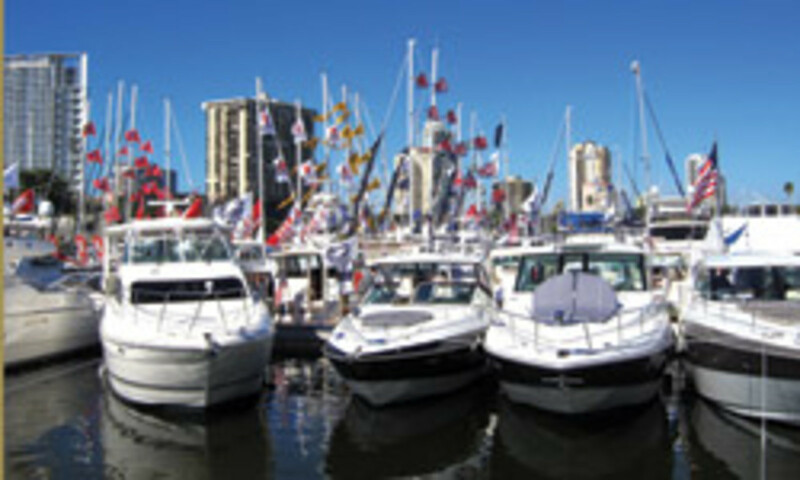 Show-goers were able to navigate the event with Show Management’s free MyBoatShow app for the iPhone/iPad and Android platforms. The show got off to a healthy start on its first day with a 25 percent increase in new boats, Zimbalist says. Although most of the exhibitors were Florida-based companies, other states also were represented, including Alabama, Texas, California, Colorado, Georgia, Illinois, New Jersey, Ohio, Indiana and New York, Zimbalist says. Hacker Boat Co. had two vessels on display — its Neiman Marcus limited-edition 27-footer, built for the Neiman Marcus Christmas Book, and a 30-foot triple-cockpit runabout “with the same lines as the Hacker-Craft boats of the ’20s and ’30s,” she says. Of course, the show featured plenty of boats from Florida builders, including custom fishing/day cruising boats by Bonadeo Boatworks of Stuart, Fla. The company’s 368 Walk-Around attracted schools of show-goers. On Saturday, the boat was packed from bow to stern. “In this size range and type of boat, there are not a lot of options for custom boats,” says Tony Bonadeo, the company’s vice president of operations. This is the 7-year-old company’s seventh boat — a high-end open vessel with a berth and head below the console. She’s powered with triple Mercury Verado 300-hp outboards and has a price of about $500,000. The number of new powerboats at the show that were between 20 and 50 feet was up by about 20 percent, according to Strul. 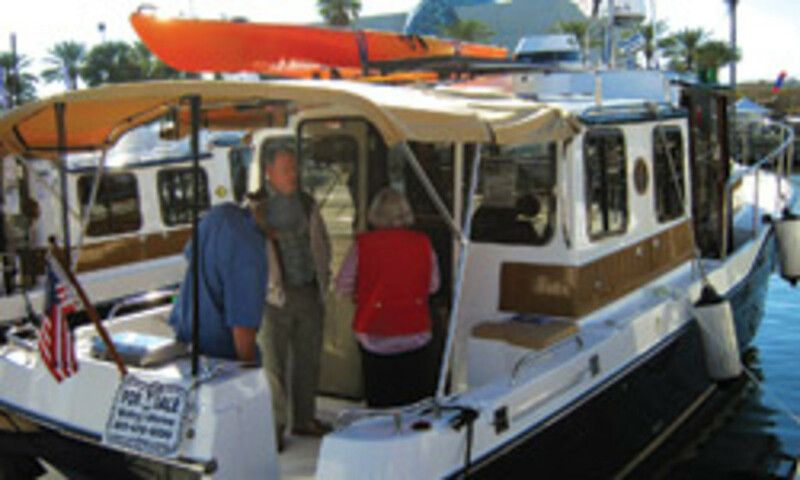 A Hatteras 68 convertible that the Tom George Yacht Group of Dunedin, Fla., offered was the largest boat at the show. This was the fourth year that sailboats have been part of the St. Petersburg show. More than 25 sailboats from 33 to 50 feet were shown, Strul says. 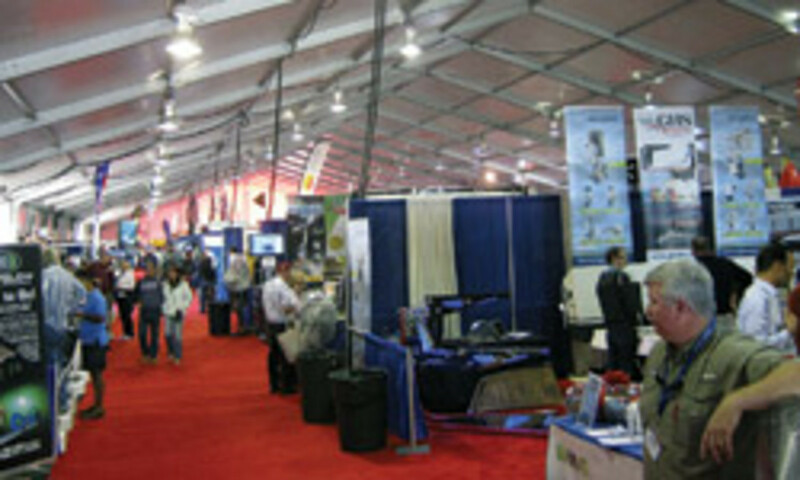 In addition to the boats and accessories, the show featured more than 60 seminars. Topics included marine refrigeration, anchoring, life raft survival, women and cruising and yoga for cruisers. Free fishing clinics for children were held on Saturday and Sunday. The seminars appeared to be a big hit. On Saturday afternoon, all three seminar tents were at full capacity.